Mr Allan Loi (left) will have you know there is never a borinday at the Science and Technology Strategy Office of the Ministry of Home Affairs (MHA). The reason is simple — as the deputy director of the unit, he has to overcome a long list of challenges daily at the MHA. Says the 42-year-old: “It’s not a desk- bound job. 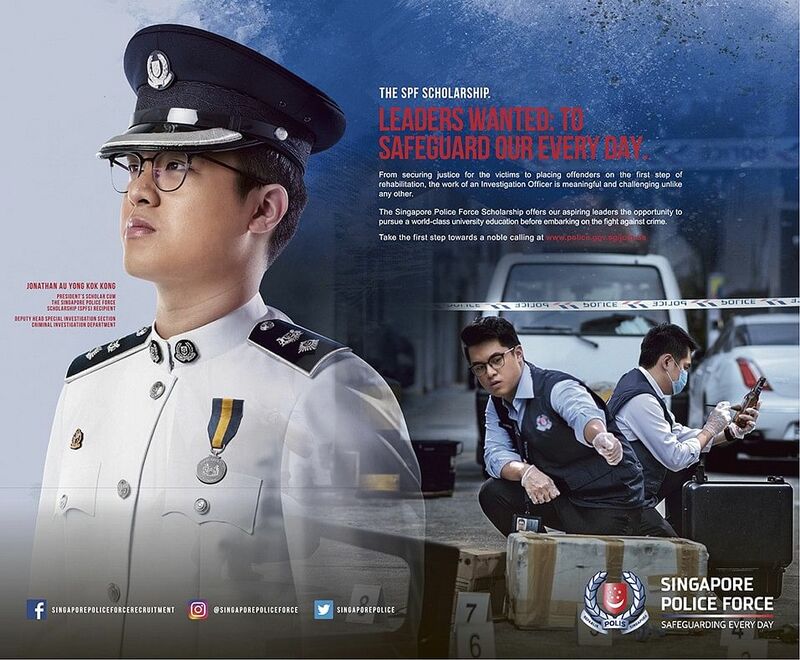 Every day, 24/7, we deal with real operational issues, ranging from policing, border control, emergency response, corrections and drug control.” As the threat of risks such as terrorism and cybercrime continues to rise, and as Singapore becomes more prominent in the global stage, the challenges show no sign of abating. Mr Loi’s engineering background comes in handy especially when it comes to managing complex projects with tight deadlines. From a young age, he had always been interested in engineering, as he loves exploring how things work. Quite naturally, while doing his national service, he applied for the Defence Science and Technology Agency (DSTA) scholarship in 1995. The scholarship was his first choice as he felt that defence and security was not something to be taken for granted. 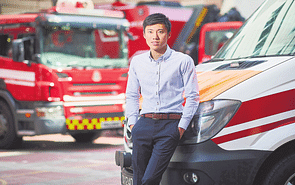 “I didn’t just want a scholarship, but also a career in an organisation where I felt the work would be meaningful,” he explains. To his surprise, he was selected. In 1997, he studied for a degree in mechanical engineering at Imperial College London, and subsequently, a master’s degree in mechanical engineering from 2000 to 2001 at Stanford University. 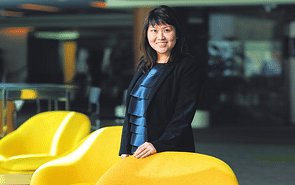 Mr Loi spent eight years with DSTA before moving on to MHA in 2009. He started off as a senior assistant director before he was moved up to deputy director two years later. 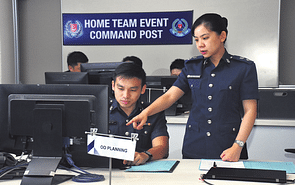 In his current role, he identifies and develops new technologies that can be deployed to departments under the MHA, such as the Singapore Police Force. 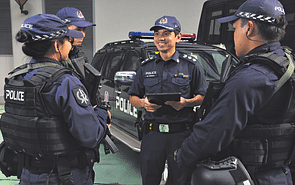 For example, he was the project manager for the Mobile Classroom (MobiC) project that trialed the use of augmented and virtual reality for training SPF’s frontline officers. 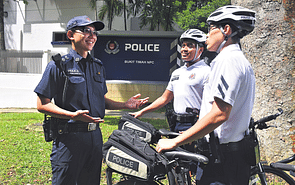 He had to work closely with the police officers to develop operational scenarios to ensure its accuracy and realism. Apart from that project, he also oversaw another project involving Unmanned Aerial Vehicles (UAVs). “The project was challenging, as UAV technology is moving quickly and solutions need to keep pace with potential threats,” he says.